Leave your wallet behind with the convenience of charging back to your rental. Beginning Memorial Day Weekend 2019! 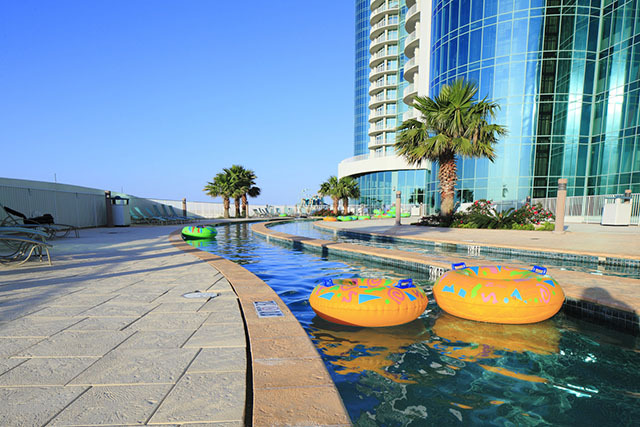 Enjoy relaxing by the Lazy River without the hassle of getting up to order drinks. 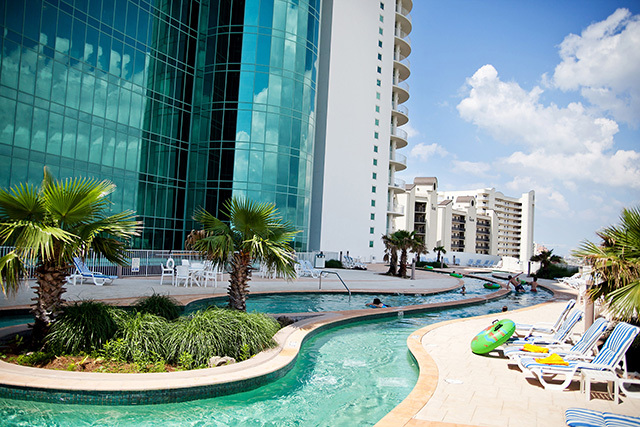 Sip on one of our frozen cocktails, such as a Hurricane or Bushwacker, as you soak in the sun around our Lazy River. Soft drinks and water are also available. 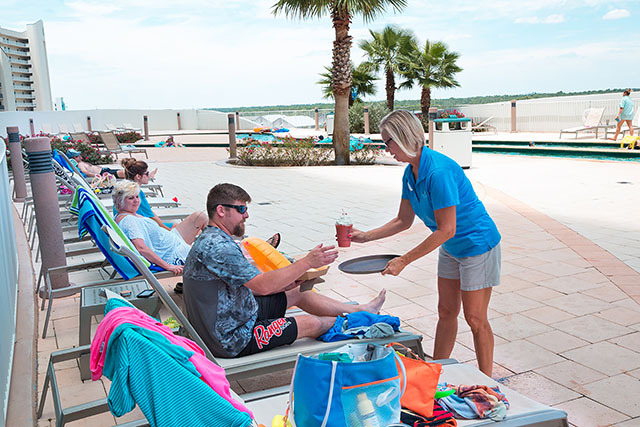 Our servers will be coming around to guest’s lounge chairs to take drink orders and deliver it back to your chair. 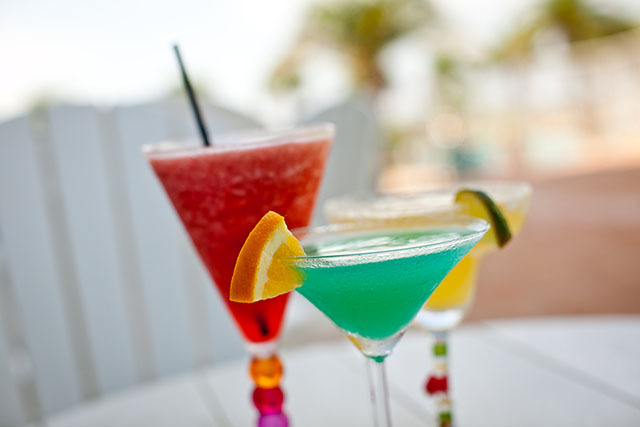 A full menu of beer, wine, frozen cocktails, and non-alcoholic beverages are available. 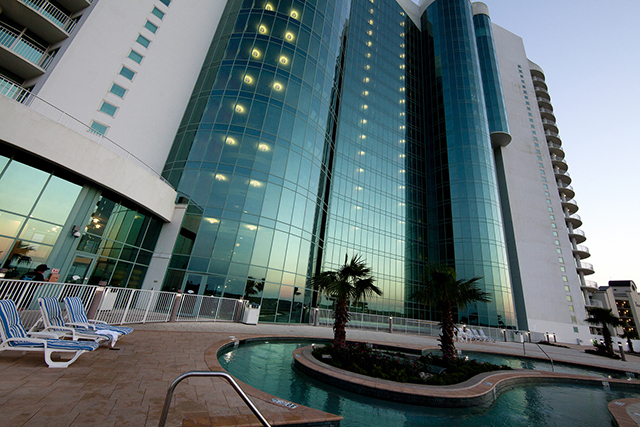 So kick back and relax – we’ll get it for you.